Did your mother try to convince you to finish your meal by telling you to think of all the starving children around the world? Apparently it didn’t work. Reporter and author, Jonathan Bloom, figures America throws away half of its food. He traces waste through the food chain, from farm to store to home, and suggests how we can be less profligate. Ross Reynolds, Senior Host for Seattle’s KUOW radio, talks with him about his book, American Wasteland. 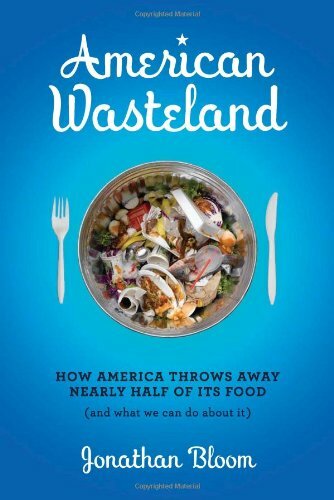 American Wasteland examines how we waste nearly half of our food, chronicling waste from farm to fork. The book discusses why food waste matters and offers suggestions on what we can do better. American Wasteland is a journey through our food chain that raises questions about how our approach to eating has changed so much and what it means. The book introduces myriad characters and tells the story of American food waste through their lives. A word of warning: It’s a book that forces you to reconsider your approach to food. Because once you’re looking for food waste, it’s hard to miss. Click on the book cover to buy a copy of this book.